Lakhs of people are taking bath every day and also the water is very less. This raises questions of the safety of the cleanness of the water. The situation is even worse for downstream areas, as the water flow would be very less. 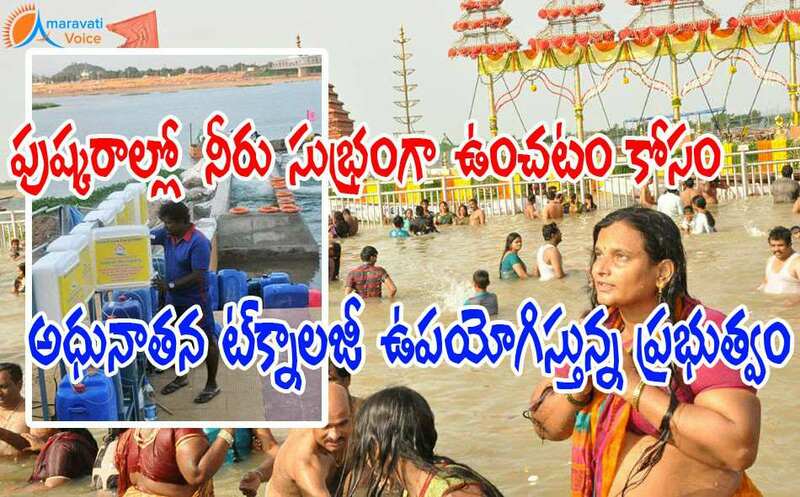 To overcome this, Tadepalli Municipality is using advanced technology in Seetanagaram Ghat. Tadepalli Municipality have hired a firm to sanitise the water using the ‘chlorine dosing system’ that is normally used for drinking water and industries. The “Online Chlorine Dosing System” periodically releases liquid bleach from time to time into the river. The amount of liquid bleach released is calculated taking into consideration the volume of water, the operator said. The chlorine levels are checked every two hours for fine tuning.